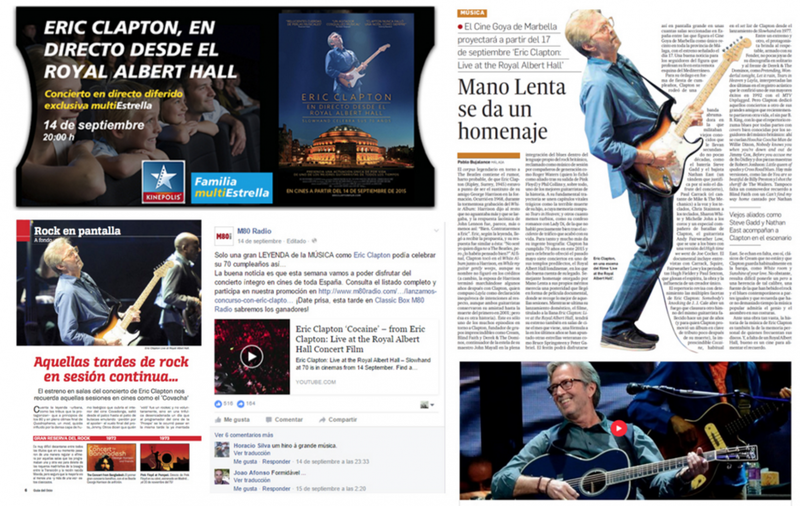 The Film Agency managed the 360º film marketing campaign of the live event Eric Clapton: Live at the Royal Albert Hall in Spain. 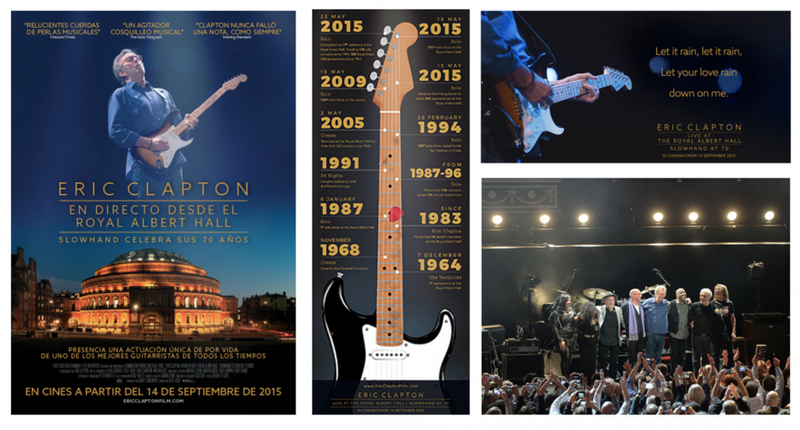 This must of event-cinema captures a momentous night for one of the world’s greatest rock guitarists, celebrating his 50 years at the top of the music business and more than 200 performances at the iconic London venue that holds a special place in his heart. Experience classic songs and fan favourites from throughout Clapton’s career – from the Mississippi blues of Robert Johnson that originally inspired him through Cream, Derek & the Dominos and the many highlights of Clapton’s long solo career. Our role as marketing partners in Spain was to dedicate all the efforts to plan a logical media plan strategy, coordinate PR and publicity actions, activate social media, partnerships, grassroots communities and special events and promotion in cinemas nationwide. We have liaised with exhibitors in order to promote the season in their supports and venues and also coordinated the delivery of printed assets. We have collaborated with several partners such as Fnac, La Caixa, Deezer and LH Magazine who gave us consistent visibility in their media through a contest. The show got high media impact on specialized press, local press and Internet thanks to Actúa. Thanks to our partnerships with key media this month we had ads in specialized online press like M80 Radio, ElPais.Com and Youtube TrueView. Besides the 360º marketing campaign in Spain, we have also accompanied the digital marketing tools. The YouTube True View campaign ended with more than 45.000 views and 309.585 impressions.